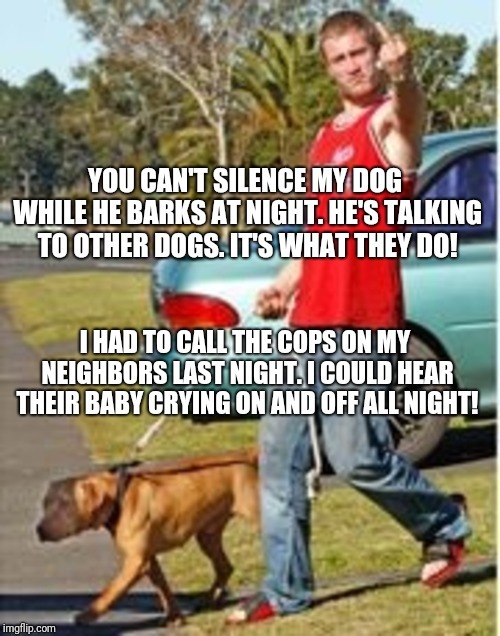 YOU CAN'T SILENCE MY DOG WHILE HE BARKS AT NIGHT. HE'S TALKING TO OTHER DOGS. IT'S WHAT THEY DO! I HAD TO CALL THE COPS ON MY NEIGHBORS LAST NIGHT. I COULD HEAR THEIR BABY CRYING ON AND OFF ALL NIGHT!